Great service and very professional work. I love my new (old) kitchen that has been brought back to life. Mike and his team provided excellent ideas and customer service. They were prompt, very clean and accommodating. Thanks for the excellent work. Thank you Bernadette... it was our pleasure right from our first meeting. Good luck with the rest of the renovations and enjoy your new home. We hope to see you again soon. Thank you very much. We hope you and your family are enjoying your newly transformed space. We appreciate the review and all the great comments very much. We wish you all the best for 2018. Cupboard doors were removed, taken to the shop to be stripped and repainted. In-home painting of the outer cabinets. The kitchen was entirely tented off. The team was very professional and a pleasure to work with. Thank you very much. Those foil laminated cabinets can be difficult to work with sometimes but we we were very happy with how they turned out. Thank you so much for your business and for your support. All the best for 2018! I was very pleased with the finished results of my kitchen cabinets! The finish is very smooth and the cupboards look like brand new! The workers were very courteous, professional and the price very compatible! It was a pleasure to work with this company and crew and I would definitely recommend them for cupboard re-finishing projects. Thank you very much for the kind words and the positive review. We hope you enjoy your "brand new" kitchen for many years to come...Cheers! I hired Platinum Pro Painters to paint my kitchen cupboards and install new handles for the cabinets. I worked with Joe and Ken who were very professional throughout the entire process. Their team were meticulous, very clean, and extremely helpful. It was clear to me that everyone loved their job and this was evident in the quality of their work. They worked with my very busy schedule and were quite accommodating when I kept re-scheduling. The job was done on time and to the highest quality I have seen to date. The team always showed up on time. More importantly, the price was very reasonable especially since my kitchen has been totally transformed. I am grateful for having worked with both Joe and Ken; and I would highly recommend them to anyone wanting a kitchen job well done. Many thanks Joe, Ken and the team for giving me the kitchen of my dreams! The pleasure was all ours Didi! Thank you so much for working with us. Enjoy your new kitchen and enjoy the holiday season. We wish you and your family all the best in 2018. We are extremely happy with Platinum Pro Painters work! Mike Todd was available for us whenever we had a question or concern . Mike also would pass by our home to ensure their employees workmanship lived up to the companies reputation. Alex and Parham who did all the all the painting of our cabinets in our home were very professional and did a Fantastic job! I just can't say enough on how happy we are to have chosen Platinum Pro Painters and Mike Todd and his team. I would highly recommend this company to anyone. Thank you Sindy... Alex and Parham were very happy to read this as they take great pride in their work. You and your family were a pleasure to work with and we are thrilled to have transformed your kitchen in time for the holidays. Thank you for placing your trust in us and have a very Merry Christmas. All the very best in 2018! Wow, what a big job, but well worth it. We had great cabinets but we hated the wood (and counter tops) and wanted to lighten up the space. By refinishing them with a with a crisp white colour our kitchen looks so much brighter and larger, and now I actually like the counters! The only small caveat was trying to tie down a day for the in-house job, but once it was set all went smoothly. The team did an amazing job and was so respectful of our space taking extra care to protect our appliances, floor, and ensure the smell did not seep out into the house. When everything was finished, the place was returned in an immaculate condition with no mess to be found. We are beyond pleased with the entire process from start to finish. I would definitely recommend Joe and his team. Thank you LA! We do try to treat your home as if it were our own... that being said you are out of chips and adult beverages. Thank you very much for the kind words. We hope the rest of your painting and renovations are going smoothly and really complement the new look kitchen. Have a great holiday season and all the very best to you both in 2018! Mike Todd and his crew were the epitome of professional. From the initial phone call and first visit to take information to the final inspection by him and us, Mike communicated online, in person and by phone clearly and with all the information we needed to make our decisions. He emailed a detailed contract and receipts for money paid promptly. Our overall timelines were met and a scheduling change was communicated promptly. We enjoyed chatting with and watching him and his crew during the two days spent prepping and painting in our kitchen. Prep for spraying was excellent with no odour or dust escaping into other parts of the house and no paint on countertops, walls, etc. Very slight lifting of paint from some door trim and ceiling was pointed out to us rather than letting us find it ourselves afterwards. We appreciated this honesty. 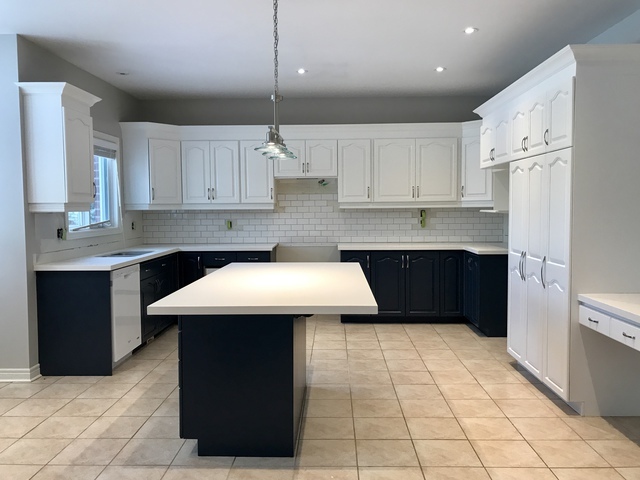 The cabinet colour was matched exactly to the white trim in our kitchen. The doors, etc. were given two coats of primer and two finish coats and look exactly like newly installed kitchen cabinets. They were reinstalled and adjusted perfectly. The crew worked late on the second day to finish the job. This is much appreciated as we have a dinner party scheduled for this weekend. Clean up was complete with materials, dust, etc. removed and taken away, not put in our garbage. We were left with a good amount of the finish coat paint for future touch up needs. Finally, instructions for care during the 30 day curing process were provided. Needless to say, we highly recommend Mike Todd’s services. We are very happy with the results. We were thrilled to be working with you right from our first meeting. Thank you very much for giving us the opportunity and we are very pleased that you are happy with the final results. This is an awesome review and we are extremely grateful. Have a great holiday season - all the best to all of you in 2018! Our experience with Michael Todd from Platinum Pro Painters was outstanding from start to finish. I do not normally write testimonials however, in this scenario I felt it was 100% necessary to recognize and give credit to Mike and his team for all of their efforts. 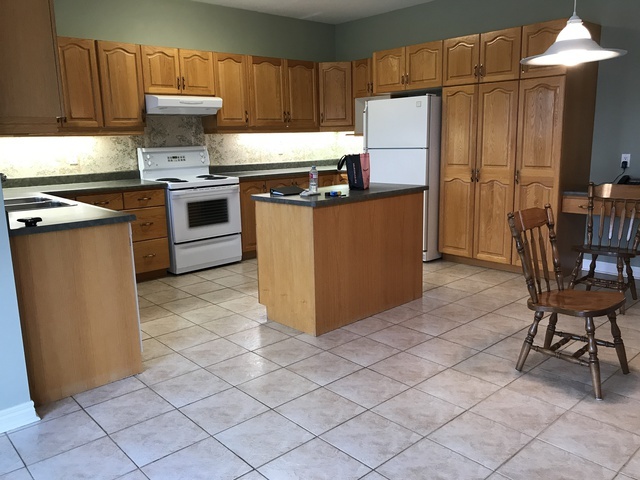 Mike transformed my kitchen and gave it a whole new amazing look. From our very first meeting he provided helpful suggestions to ensure we would achieve the look we dreamed of. He guided us throughout the entire project and went out of his way on several occasions to make a trip over to our house to ensure the project was running smoothly and provided services above and beyond what his work entailed. We had several different trades throughout our home for other projects and Mike by far was the #1 trade to come through. Our kitchen turned out better then we could have ever imagined and was done on time! The quality of the paint, workmanship and service was remarkable. We couldn’t be happier with our new kitchen and we are so thankful that we had Mike and his team make it all happen. I would 100% recommend Mike to do your kitchen cupboard painting if you are considering giving your kitchen a re-fresh and will refer him to all of my friends, family members, colleagues, clients, neighbours and more! Thank you Mike! We are forever grateful for all your hard work! Thank you very much... just seeing the final finished product made it all worthwhile. You both did an amazing job picking and co-ordinating colours and finishes which of course very much adds to the final look & feel. You were tremendous to work with... thank you so much for your support. Enjoy the holiday season!